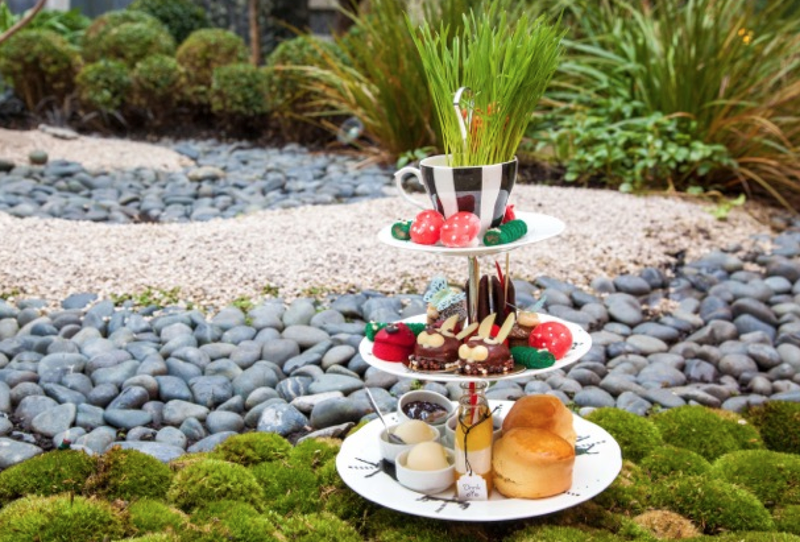 Created especially to celebrate Easter, the team at Sanderson has crafted decadent Easter Chocolate Bunnies to accompany their famous Alice in Wonderland inspired ‘Mad Hatter’s Afternoon Tea’. The Easter bunnies will nestle alongside the other sweet treats on offer, providing a seasonal surprise to guests who are looking for something special to experience over the Bank Holiday weekend. Those enjoying the afternoon tea can also expect to discover menus hidden inside vintage books, teapots adorned with kings and queens and sandwich plates decorated with carousels, birdcages and ticking clocks. The savoury bites include specialist sandwiches, such as classic cucumber, sumptuous smoked salmon with caviar scotch egg, and white crab eclairs, all created with speciality ingredients. Costing £58 per person, this special Easter afternoon tea package also includes a glass of Perrier-Jouet Brut champagne. For hotel guests there will also be a special Easter Egg Hunt for children on Easter Sunday, with chocolate treats hidden throughout the enclosed terrace at Sanderson.